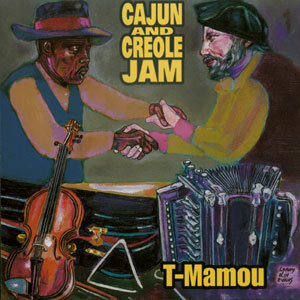 T-Mamou was a collaboration between Al Berard on fiddle, Bob Reed on accordion and Sam Broussard on guitar to present music from the point where the rural Cajun and Creole musical traditions cross paths. Their CD highlights the deep groove at the heart of Cajun music, and the influence of Creole country neighbors. This joyous dance music captures the soul of Louisiana’s prairies and bayous.